Evolutionary theory is prevalent in policymaking studies and it can be useful if we overcome some initial barriers. First, ‘evolution’ comes with a lot of baggage when we move from a discussion of animals to people. We can blame ‘social-Darwinism’ for the racist/ sexist idea that some people are more evolved than others. Second, the word ‘evolution’ is used frequently in daily life, and academic studies, without a clear sense of its meaning. When it is used loosely in everyday language, it refers to a long term, gradual process of change. However, evolution can also refer to quick, dramatic change; the idea of ‘punctuated equilibrium’ is that long spells of stability and gradual change are interrupted by relatively short but profound bursts of instability. When we get into the details of studies, there are other sources of potential confusion about, for example, the nature of evolution (does it refer to advancement as well as change?) and the nature of ‘selection’ (do species simply respond blindly to their environments or help create them?). the coming together of multiple factors to create the conditions for major policy change (which can be a creative, ‘window of opportunity’ style process, or a destructive, failure-related ‘perfect storm’ style process). Multiple Streams Analysis (Kingdon). Although policymaker attention may lurch from one problem to another, problems will not be addressed until policy solutions have evolved sufficiently within a policy community and policymakers have the motive and opportunity to adopt them. 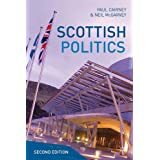 ‘Evolution’ and the ‘policy primeval soup’ describe the slow progress of an idea towards acceptability within the policy community. Punctuated Equilibrium Theory (Baumgartner and Jones). 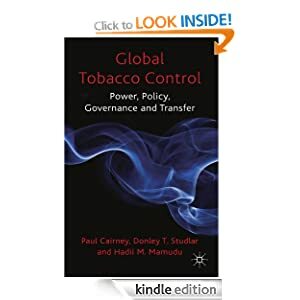 ‘Incremental’ policy change in most cases is accompanied by ‘seismic’ change in a small number of cases – an outcome consistent with ‘power laws’ found in the natural and social worlds. Kingdon’s picture of slow progress producing partial mutations is replaced by Baumgartner and Jones’ fast, disruptive, pure mutation. The distinctive aspect of applying evolutionary theory to policymaking relates to the idea of passing on memes through the generations. In nature, we think of passing on genes through the generations as a process that takes hundreds, thousands or millions of years. Passing on memes through the ‘policy generations’ is more like the study of fruit flies (months), viruses or bacteria (days or weeks). Ways of thinking, and emerging behaviour, change constantly as people interact with each other, articulating different beliefs and rules and producing new forms of thinking, rules and behaviour. Big jumps in ways of thinking may be associated with generational shifts, but that can take place, for example, as one generation of scientists retires (as described by Kuhn) or, more quickly still, one generation of experts is replaced (within government circles) by another (as described by Hall). I have discussed in other ‘1000 words’ posts what happens when theories, derived from cases studies of US politics, are applied to other countries and cases. ‘Evolutionary theory’ is more difficult to track, because it is a body of disparate work, loosely related to work in natural science, applied in a non-coordinated way. The same can be said for studies of complexity theory. 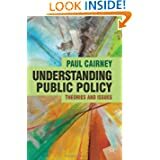 To read more, see ‘What is evolutionary theory and how does it inform policy studies?’ PDF, weblink or Green.